Looking for a job in Island County Washington? This Island County Washington job guide is a resource for job seekers looking for legitimate employment opportunities in the region with an emphasis on government positions, top healthcare employers, school careers, and lists major job boards. 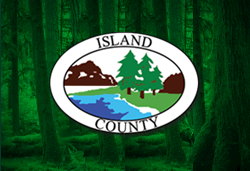 Island County Washington frequently posts open positions on their employment portal. A survey of job openings on this review date had included Code Enforcement Planner Series, Construction Civil Engineering Supervisor 2, Corrections Deputy, Deputy Prosecuting Attorney Criminal, Entry Level Patrol Deputy, Juvenile Detention Officer, Lateral Entry Corrections Deputy, Lateral Entry Patrol Deputy, Night Custodian, Personal Property Deputy Auditor, Solid Waste Attendant, and Truck Driver. The City of Oak Harbor has a comprehensive listing of job resources. They also provide information for how to find jobs working for the city. The City of Langley Washington may periodically post openings when there are vacancies available. During review there did not appear to be any updates. Town of Coupeville Washington maintains a "Join Our Team" section on their website that includes volunteer opportunities and employment opportunities when openings become available. The Washington State Parks and Recreation Commission hires for positions working in Deception Pass, Cama Beach Area, and Central Whidbey among other locations. Some positions found had included Park Aide and Park Ranger. The Commission employs 500 full-time workers and 350 non-permanent workers in locations across the state. Everett lies on the mainland just a ferry ride away - Clinton - Mukilteo Ferry / Clinton Terminal. The Port Townsend-Coupeville Ferry reaches the City of Port Townsend. The city often features a variety of jobs. During review there had been open positions for Aquatics Fitness Instructor, Lifeguard, Police Officer Lateral Entry, Public Works Director, and Swim Instructor. WhidbeyHealth Medical Center and clinics are operated by the Whidbey Island Public District Hospital, which is dedicated to providing exceptional care with compassion and respect. The links on this page provide important information about the District and its services. Open positions found on this review date had included Administrative Assistant, Certified Nursing Assistant (CNA), Coder, Courier, Dietary Aide, Emergency Department Tech, Health Unit Coordinator, HIM Technician, Housekeeper, Licensed Practical Nurse LPN I / LPN II, LPN Physician Practice, Management Engineer, Managerial Epidemiologist, Medical Assistant, Clinic Medical Assistant, Medical Social Worker, Medical Staff Office Assistant, Medical Technologist, Medical Lab Technician, Medical/Surgical RN, Paramedic, Perioperative Training RN, PFS Representative - Billing & Collecting, Manager Health Information Management HIS, MD Family Practice, MD General Surgeon, MD OB/GYN, MD Orthopedic Surgeon, Medical Assistant OB-GYN, Medical/Surgical RN, In-Patient Nursing (Med/Surg), Patient Registrar, PeriAnesthesia Clinical Supervisor, Perinatal RN, and Perioperative RN. Regency on Whidbey, located on the Northwest's famous Whidbey Island, offers Retirement and Assisted Living options with compassionate care in a professionally managed, carefully designed retirement community. Their employment page provides information regarding benefits and how to contact them about the application process. Homeplace at Oak Harbor periodically hires Caregivers, Certified Nurses Aides, Care Staff & Med Aides, Licensed Practical Nurses, Medical Techs, Resident Care Coordinators, Environmental Services jobs, Receptionist jobs, Housekeepers, and more. Homewatch Caregivers periodically provides services that include personal care, dementia care, and companion care to all ages. They also work with children providing nanny services to families, flexible in our hours, from 1 hour per visit to full 24 hour care. They train with a state approved 75 hour nursing assistant curriculum, and offer continuing education. Employees are each on the state roster as certified or registered caregivers. Summer Hill is an assisted living community located in the heart of Oak Harbor on Whidbey Island. Careage of Whidbey in Coupeville, Washington, is a skilled nursing facility and day care center. Careage of Whidbey was hiring for the positions of Licensed Nurse and Certified Nursing Assistant. The elementary school and combined middle and high school are within the Town of Coupeville. Open positions found had included Primary Elementary Teacher (K - 1), High School Head Cheer Coach, Substitute Classroom Teacher, High School Softball Assistant Coach, Assistant High School Football Coach, On-Call Substitute Custodian, Sub School Bus Driver, and Classified Substitute - Para Educator and/or Secretary. Oak Harbor School District had job postings such as Physical Science Teacher, Elementary PE Specialist, Substitute Teacher, Primary Teacher, Science Teacher, Spanish Teacher, Special Education Teacher, Substitute School Nurse, and more. South Whidbey School District's employment opportunities included Special Education Teacher, SPED TEacher, Elementary Teacher Positions Available & Hiring Pool, Elementary Art Teacher, Elementary Music Teacher, High School CTE Teacher, High School Counselor, Teacher of Visually Impaired, Physical Therapist, School Secretary, Accounts Payable Specialist, Substitute Teacher, Substitute Paraeducator, Head Coach Girls Soccer, and more. Stanwood-Camano School District periodically posts opportunities for Administrative, Certificated, Classified, and Extra-Curricular positions. Mukilteo School District job listings have included Custodian, School Nurse Positions, Electronics Engineering Teacher, Conditional Paraeducator, Food Service, Teacher Construction Trades, Secondary Math Specialist, Music Teacher, Elementary Support Specialist, Special Education Pre-School Self-Contained Positions, English Language Learner Teacher, High School Math Teacher, Speech Language Pathologist Positions, School Psychologist Positions, Physical Therapist, and Occupational Therapist. Port Townsend School District employs nearly 140 total Certificated Staff, Certificated Adminstrative, and Classified Staff. Whidbey Island Waldorf School has provided a comprehensive, whole-person, arts-integrated education on south Whidbey Island, Washington since 1985. Skagit Valley College offers a variety of job opportunities, great employee benefits, and a friendly, work environment. Become part of this world class, research university with nationally recognized academic programs, renowned professors, students who make a difference, and vibrant communities! Sno-Isle Libraries maintains a useful "Find a Job" section. Resources include Interest Matcher, Skills Matcher, Cover Letter / Resume Help, and more. This listing includes Island County Community Web, Camano Island Chamber of Commerce, Central Whidbey Chamber of Commerce, Clinton Chamber of Commerce, Freeland Chamber of Commerce, Langley South Whidbey Chamber of Commerce, and Greater Oak Harbor Chamber of Commerce. These links can be useful for researching area businesses through member directories and sometimes wage information. Some chambers have been known to have job pages as well. WorkSource Washington is a great resource to monitor frequently. They tend to provide an array of ongoing job listings. Additionally they offer job hunting tips, resume help, career links, occupation info, job training programs, education, career resources, unemployment information, worker rights, wages, and more. Washington State had employment opportunities posted on this review date in Snohomish County Washington. Open positions found included Advanced Registered Nurse Practitioner, Assistant Attorney General, Assistant State Auditor, Budget Analyst, Communications Officer / 911 Dispatcher, Correctional Mental Health Counselor, Dentist, IT Specialist, Human Resource Consultant, Information Technology Specialist, Labor Department Fraud Investigator, Statistician, Park Ranger, Psychiatric Social Worker, Psychologist, Senior Telecommunications Specialist, Social Service Specialist, and Highway Patrol Trooper Cadet. AWC is a private corporation that represents Washington's cities and towns. They maintain a listing of current job openings. GovJobsToday is a partnership of local governments that have pooled resources through the eCityGov Alliance to create a one-stop web portal for posting positions and accepting applications online. PeopleReady connects you with jobs that match your skills, experience and preferences. Here you can find Firefighter jobs, Police jobs, Corrections / Correctional Officer jobs and testing information for various public safety positions. National Testing Network directly contracts with public safety departments across the country to test candidates for jobs. Once a candidate completes this simple process, information and test scores will be sent directly to each department. South Whidbey Record Classifieds Employment points to Classifieds Sound Publishing which displays local ads for a variety of jobs.